Even if you’re not a fan of freestyle skiing, there is no doubt you’ve heard about the recent tragic death of Winter X Games superstar Sarah Burke. The iconic Canadian skier died on Jan. 19 following an accident that had occurred nine days earlier during a training run in Park City, Utah. Burke crashed and sustained fatal injuries performing a routine trick known as a Flat Spin 540 on the Eagle Superpipe at the Park City Mountain Resort during an event sponsored by Monster Beverage Co. As a result of Burke’s fall, she suffered a ruptured vertebral artery in her neck, one of four major arteries supplying blood to the brain. This led to severe bleeding on the brain, causing her to go into cardiac arrest on the scene. While doctors were later able to successfully repair the artery, the 29-year-old British Columbia resident had suffered "irreversible brain damage due to lack of oxygen and blood to the brain during cardiac arrest," according to a statement released by her publicist. Along with the debate over the danger and safety issues related to extreme sports like freestyle skiing, much commentary and outrage was spawned over another aspect of this horrible tragedy: Sarah Burke’s massive medical bills. Almost just as shocking as her sudden death were the reports that her family would be stuck with a bill for over $550,000 from her hospital care at the University of Utah Hospital. While Burke had $5 million in medical coverage through the Canadian Freestyle Ski Association (CFSA), a largely government-funded body that fields Olympic competitors in the sport, the CFSA's policy only covers athletes that are competing in officially sanctioned events and training where coaches are present. Kelley Korbin, media relations manager for the association, told msnbc.com, “This was a private sponsored event, so none of our certified coaches were there.” Burke’s accident occurred while she was training at an event hosted by Monster Energy Drink for a group of athletes the company sponsors, excluding her from being covered under the CFSA’s policy. As a Canadian citizen, Burke was entitled to reimbursement for out-of-country costs through British Columbia’s Medical Services Plan; however, the plan would only cover a “smaller portion” of the total amount according to a statement released by the B.C. Ministry of Health. Apparently, the national health insurance policy only pays for what the services would have cost in Canada, which is usually only a fraction of what medical care costs in the United States. When someone is traveling outside Canada, the Ministry of Health typically suggests purchasing third-party insurance to cover the difference. It is unknown at this point what level of insurance coverage Park City Mountain Resort had for events hosted on its premises. 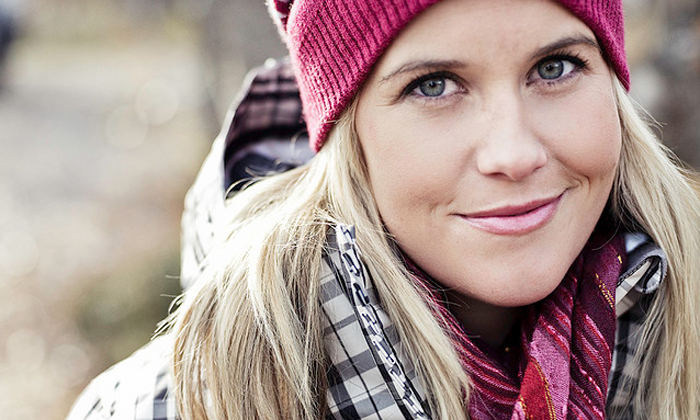 Thankfully, Sarah Burke’s family was able to raise more than $308,000 from fans and well-wishers according to the fundraising website GiveForward, more than enough to cover the lowered hospital bill. Although press reports initially estimated the cost of Burke’s intensive medical care at about $500,000, it was later revised downward to about $200,000. While donors helped Burke’s family avert a terrible financial predicament, this tragic story serves as a painful reminder about the importance of pro athletes–especially those participating in extreme sports– having the proper insurance coverage in place when competing. Review your current healthcare insurance policy to determine the scope of its coverage. For example, would you be covered if you are competing in an exhibition, international event, or corporate event? What about if you participate in a sponsor’s photo shoot or commercial shoot? Anytime you are competing in your sport, whether it’s an official event, unsanctioned event, or training, home or abroad, you need to have the proper coverage in place. If you are competing in an event or participating in training not covered by your team, association, and/or personal policy, you need to purchase a third party insurance policy to bridge the gap in coverage. You should also check with the venue to see if they have liability insurance in place. When competing abroad, research the laws of foreign countries to find out how the local healthcare system works. In certain countries, you may need specialized emergency evacuation insurance. To help defray the costs associated with purchasing a third party policy, ask your agent or manager to negotiate this in your sponsor contract(s). Examples of players that have had negative things happen due to medical or moral issues. Labor relations in horseracing are lacking. I've compiled a list of what I've found to be the most common errors people make in achieving their insurance and financial goals. They are all potentially costly, and they could mean the difference between financial success and failure.